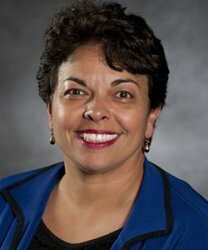 First African American to serve as the Frances A. Matsuda Chair Scholar in Women's Health at the University of Hawaii at Monoa, School of Nursing and Dental Hygiene. First Director of the International Council of Nurses, Global Nursing Leadership Institute and the Leadership for Change Program in Geneva, Switzerland. First Deputy Director of the World Health Organization Global Network for Nursing and Midwifery Collaborating Centers. In March 2016, she became the first African American to be the Chair of the American Academy of Nursing's National Advisory Council for their Institute of Nursing Leadership.